The population in need of physical therapy and/or licensed massage therapy services for rehabilitation is ever expanding with work-related injuries, evolving technology in orthopedic surgery, sports injuries and an expanding aging population. Rebound Hawaii was established in Kapolei to meet these demands with exceptional care for patients like you, to improve your quality of life by restoring function and returning you to your previous activities. Our staff of massage and physical therapists can provide a variety of services and specialties to meet your needs, whatever they are. All with the common goal of restoring you to health. Contact us now with your questions or to set up an appointment. You can check out our Services Page, too. Don't wait to start feeling better. We can begin your transformation today. 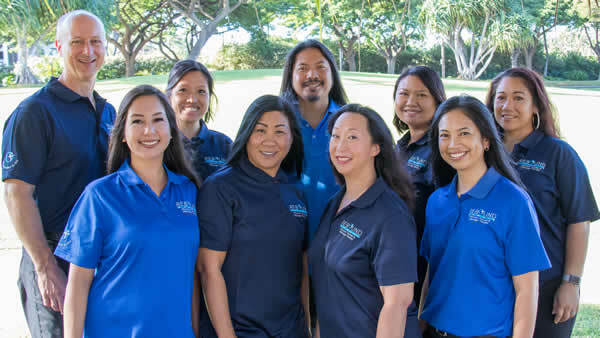 The mission of Rebound Hawaii is to provide patient-centered, one-on-one care by applying evidence-based physical therapy techniques and licensed massage therapy services to enable individuals to achieve optimal return to function and daily activities. The vision of Rebound Hawaii is to improve superior service by applying expert, nurturing care and rehabilitative techniques. We aim to be an integral part of the Rehabilitation industry on the Leeward side of Oahu and a respected company within the community. Hiking, spending time with family, cooking, casual walking, traveling to US Mainland or internationally. Hiking, mountain biking, skiing, snowshoeing and kayaking, paddle boarding. Scott and his family are especially looking forward to exploring the island, meeting people and making new friends. Running, swimming, eating and spending time with her family. She hopes to run a marathon in Hawaii. Quality time with my kids/family, going to the beach, traveling. Contact us today or call (808) 674-9998 for a consultation. 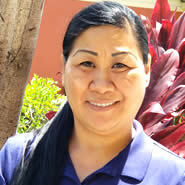 Or learn more about Our Physical Therapy & Massage Therapy Services here in Kapolei.